Are your Kids ready to go out Trick or Treating? 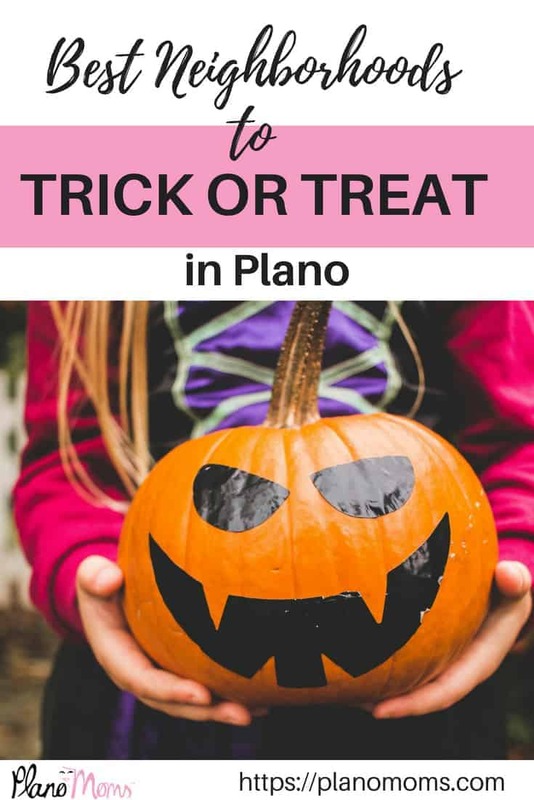 Now that you have the all the fun Fall Festivals to attend, the Best Pumpkin Patches to Visit, and some Fun Halloween Event for Kids, how about the top Plano neighborhoods to go trick or treating? There are some areas around town that go all out and make it so much fun for kids. Here’s a look at some great places to take kids on Halloween night. 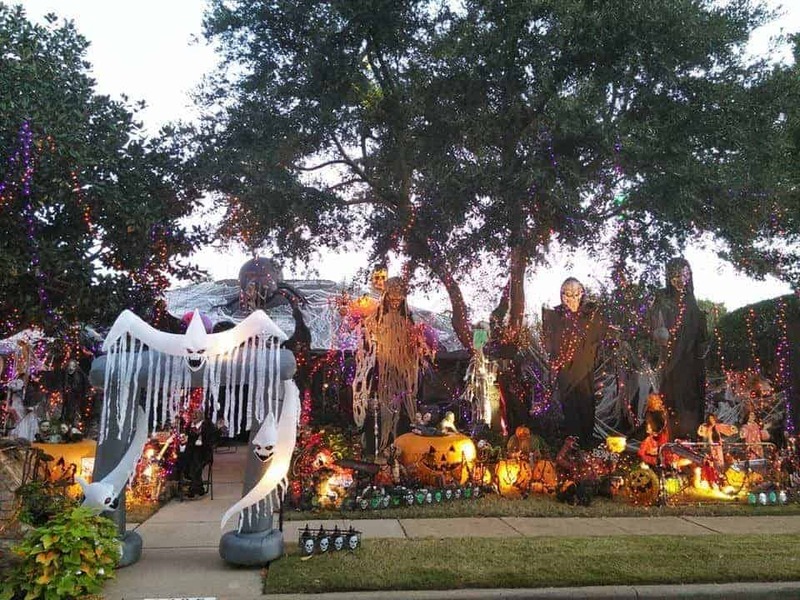 This mainly consists of one house who some call ‘The Halloween House,’ but the street is nuts! This one house goes above and beyond that it’s decor literally takes up nearly 3 houses worth. The entire street will be blocked off and even if you don’t come trick or treat that night it’s a must stop or stare at! All the neighbors sit outside and pass out candy to 1000 kids! A DJ tops the night with fun Halloween music. You do not want to miss this house! We go every year and it does not disappoint. This is a fun street that is almost directly across the street from Plano Senior High School. Several neighbors work together to create fun scenes/themes in the front yard. Kids from all over always want to come to Canterbury court! Some can be scary (just FYI) but it’s all in good fun for kids. The neighbors and atmosphere are great. This place will be VERY crowded so be prepared for lots of people and kids. This neighborhood does it right! The entire area is blocked off for safety so cars cannot drive through. Moms tell us there are popcorn machines and tons of fun everywhere. They are passing out candy and ready to have some fun! Though this neighborhood is mostly known for the best Christmas lights, some Moms tell us they are prepared for all the trick or treaters as well. No big street parties that we know of, but a fun and safe place to go trick or treating here. For little ones with shorter attention, trunk or treat maybe a most suitable Halloween celebration. Trunk or Treat events typically take place in a single parking lot or building and children are invited to dress in costumes and collect candy in an easy to navigate and low-stress atmosphere. 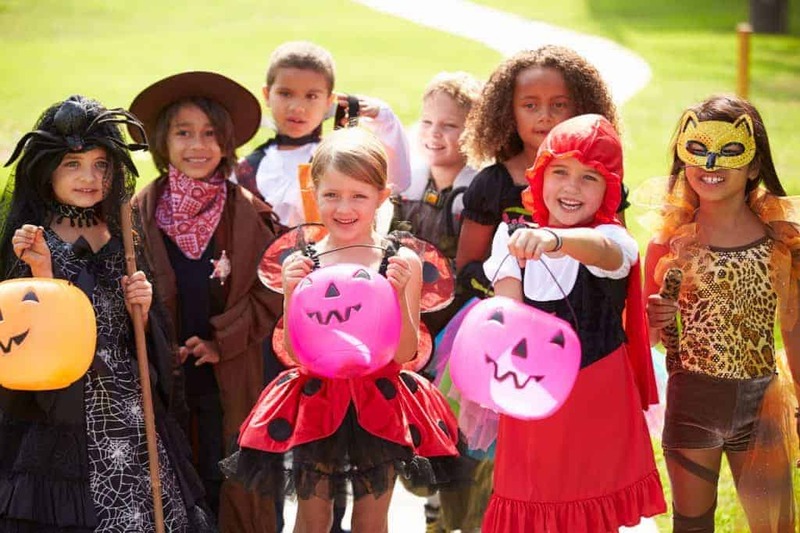 Trunk or Treat is perfect for children under the age of 5 or those who might need additional help navigating the streets during traditional trick or treating. Check out these local Halloween events, many of which have Trunk or Treat options. Each year the Plano Police Department joins together with community business owners to host children of all ages for a safe alternative to trick or treating during in their trunk or treat night out! These are the most mentioned places to trick or treat on Halloween night for Plano Moms. Do you have a good neighborhood or area that does it right and fun for kids? Tell us all about it and we’ll add it to our list! For more kid-friendly things to do around Plano follow us on Facebook! Give kids flashlights with fresh batteries. Kids may also enjoy wearing glow sticks as bracelets or necklaces. Limit trick-or-treating to your neighborhood and the homes of people you know. Help them check all treats to make sure they’re sealed. Throw out candy with torn packages or holes in the packages, spoiled items, and any homemade treats that weren’t made by someone you know. Halloween and trick or treating in Plano Texas are one of the most fun, happiest times of the year for kids. We hope you enjoy the festivities!